Clipping Path Company is a leading image manipulation and editing service provider. They know the value of your brand and reputation. According to your requirements, they create the best impression with reliable, high-quality and affordable outsourced clipping path services. Pridesys IT Limited is one of the best outsourcing company in Bangladesh. Which offers Secure, Scalable, On-Demand Application System and Data Access Solutions with their expert teams to help their clients improve their business. In Bangladesh, they are supporting their clients with their own ERP name Pridesys ERP. They provide all type of modification, implantation, and customization for all type of customers. aamra outsourcing limited is providing outsourcing BPO solutions since 2005. It’s a subsidiary company aamra companies. At the start of their business, their main target is to provide the BPO service to their clients to reduce their business operational expenses. Their main is to provide the exceptional services to their clients. Bacco is Business Process Outsourcing (BPO) and call center company in Bangladesh. They work like as an advocate for their stakeholders. Their main target is to grow up the industries to make a sustainable income place for youths. Their work and design are built for long-term business success. It’s also encouraging recruit women and disabled peoples to make an income source. My group of the company launched My Outsourcing Ltd to provide BPO/Contact Center services to their clients. Their main focus is to minimize the client’s cost of business operations to increase their client’s profit. They are the first who implement stealth monitoring services in Bangladesh. They have well-skilled employers those are ready provide services to their clients. RAFUSOFT (Bangladesh), Naimnagar, Balubari, Dinajpur – 5200. Rafusoft is a well-known outsourcing company in Bangladesh. It is one leading software development company in Bangladesh and they have successfully spread their products in Australia, USA, and Canada. They have well trained and skillful professionals to provide the best service their customers. 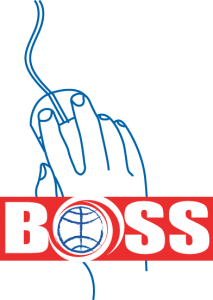 Bangladesh Outsource & Software Service ( BOSS ) is one of the best development company in Bangladesh. They have clients in USA, Australia, UK, Ireland, Canada etc. They are specialized in web development, e-commerce development, outsourcing. They have experts and they are very serious about their work. SuperTel is a call center outsourcing service in Bangladesh since 2008. Today they are the one of the best company in Bangladesh because of their hard work. They are specialized in software development, inbound, outbound services, and call center. They have the very good client list in both local foreign. Virgo is one of the leading Business Process Outsourcing company in Bangladesh. It offers document management, ERP, outbound call center and GIS services. They have successfully completed many projects which were quite impressive. Their services are very good than other companies. SYNTECH is offering to outsource service in Bangladesh. It is a software development company but they are also expert in outsourcing services. They are specialized in software development, web development, mobile app, outsourcing, customized ERP solutions, HR etc services. With integrity, honesty, and professionalism they serve their customer and that’s why they are one of best IT company in Bangladesh Now.